Zo blauw als een tientje or Dollar green. 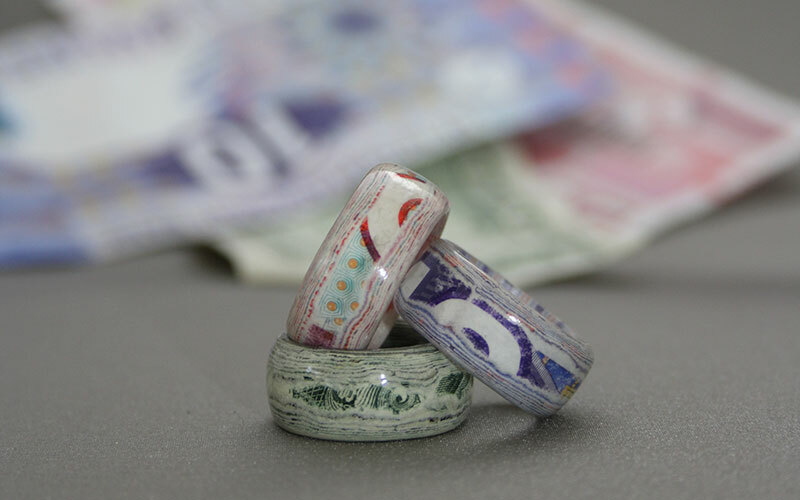 The Colour of Money series are real money bills carefully shaped and polished into stylish rings. The Skintones series however, is something completely different 😉. 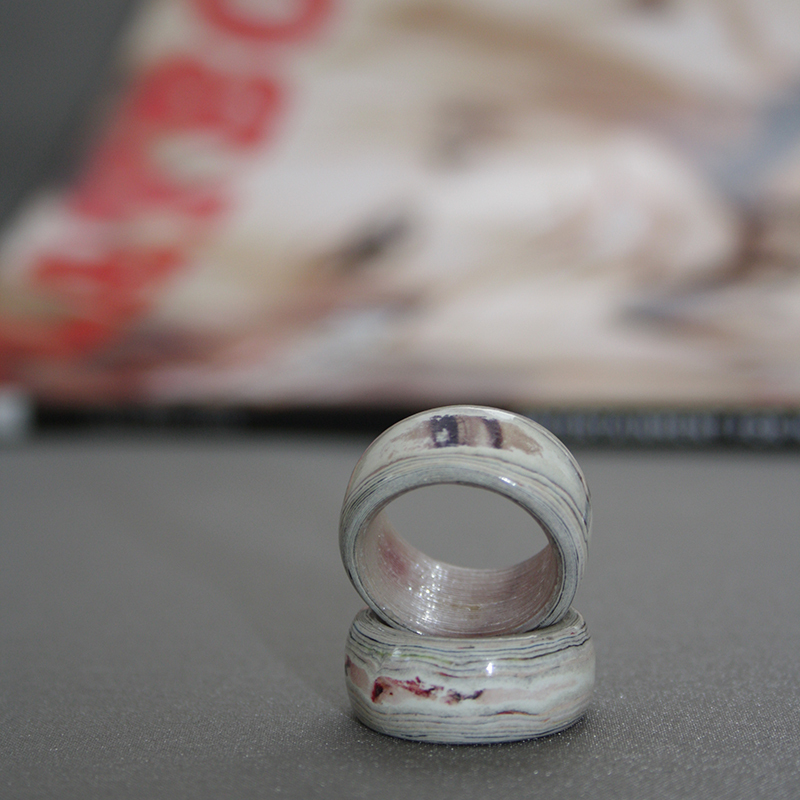 These rings can be made from any document of value to you. Be it a picture of you firstborn, a love letter or the last will of your father. Hidden inside jewelry, its value is contained.